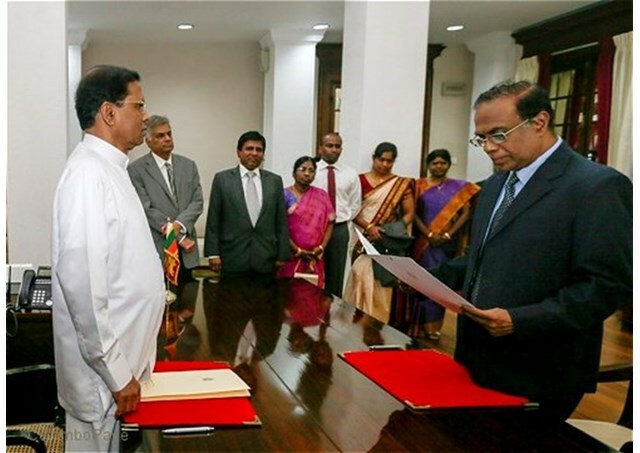 Kanagasabapathy J Sripavan was on 30 January 2015 sworn in as 44th Chief Justice of Sri Lanka. His appointment was approved by Sri Lanka’s President Maithripala Sirisena. Justice Sripavan succeeded Shirani Bandaranayake who resigned on 29 January 2015. She resigned one day after she was reinstated as Chief Justice by the Sri Lankan President on 28 January 2015. Bandaranaike, the first woman Chief Justice of Sri Lanka, was purportedly impeached and removed by the Sri Lankan Parliament in 2013. Sripavan is the second Tamil to be the Chief Justice of the Sri Lankan Supreme Court. The first Tamil to hold this highest judicial post in Sri Lanka was Suppiah Sharvananda, who served between 1984 and 1988.